Hello the Biomedical 3D Printing community, it's Devarsh Vyas here writing after a really long time! This time i'd like to share my personal experience and challenges faced with respect to medical 3D Printing from the MRI data. This can be a knowledge sharing and a debatable topic and I am looking forward to hear and know what other experts here think of this as well with utmost respect. In the Just recently concluded RSNA conference at Chicago had a wave of technology advancements like AI and 3D Printing in radiology. Apart from that the shift of radiologists using more and more MR studies for investigations and the advancements with the MRI technology have forced radiologists and radiology centers (Private or Hospitals) to rely heavily on MRI studies. We are seeing medical 3D Printing becoming mainstream and gaining traction and excitement in the entire medical fraternity, for designers who use the dicom to 3D softwares, whether opensource or FDA approved software know that designing from CT is fairly automated because of the segmentation based on the CT hounsifield units however seldom we see the community discuss designing from MRI, Automation of segmentation from MRI data, Protocols for MRI scan for 3D Printing, Segmentation of soft tissues or organs from MRI data or working on an MRI scan for accurate 3D modeling. Currently designing from MRI is feasible, but implementation is challenging and time consuming. We should also note reading a MRI scan is a lot different than reading a CT scan, MRI requires high level of anatomical knowledge and expertise to be able to read, differentiate and understand the ROI to be 3D Printed. MRI shows a lot more detailed data which maybe unwanted in the model that we design. Although few MRI studies like the contrast MRI of the brain, Heart and MRI angiograms can be automatically segmented but scans like MRI of the spine or MRI of the liver, Kidney or MRI of knee for example would involve a lot of efforts, expertise and manual work to be done in order to reconstruct and 3D Print it just like how the surgeon would want it. Another challenge MRI 3D printing faces is the scan protocols, In CT the demand of high quality thin slices are met quite easily but in MRI if we go for protocols for T1 & T2 weighted isotropic data with equal matrix size and less than 1mm cuts, it would increase the scan time drastically which the patient has to bear in the gantry and the efficiency of the radiology department or center is affected. There is a lot of excitement to create 3D printed anatomical models from the ultrasound data as well and a lot of research is already being carried out in that direction, What i strongly believe is the community also need advancements in terms of MRI segmentation for 3D printing. MRI, in particular, holds great potential for 3D printing, given its excellent tissue characterization and lack of ionizing radiation but model accuracy, manual efforts in segmentation, scan protocols and expertise in reading and understanding the data for engineers have come up as a challenge the biomedical 3D printing community needs to address. These are all my personal views and experiences I've had with 3D Printing from MRI data. I'm open to and welcome any tips, discussions and knowledge sharing from all the other members, experts or enthusiasts who read this. 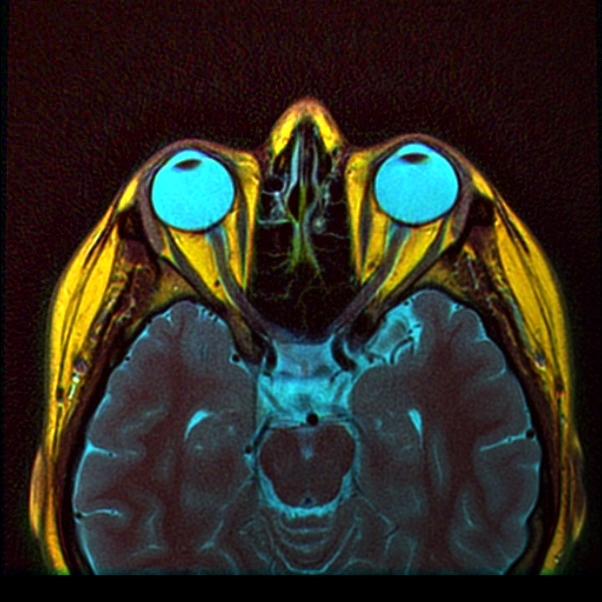 I am working on a Color MRI software for viewing and interpretting MRI images. It is a free and opensource plugin for Osirix image viewer, which works on MacOs. You can download the plugin here. Plugin main page and documentation is here. It is in alpha phase and has known issues. Please feel free to report additonal bugs while being the first using it. The plugin generates 24bit color images in which fat is yellow, water is cyan and muscles are dark red. One of the secondary benefits I expect from plugin is better segmentation from MRI data. Fat, muscle and water each will have distinct colors and should be easy for segmentation. The other advancement I expect from Osirix Color MRI plugin is the creation of Color medical 3D prints from MRI data. Note: Dr. Mike's tutorial has good introductory info about Osirix.